The dal-tile 12 in. x 12 in. Arctic gray natural stone floor and wall tile is impervious and frost proof, so it's ideal for both indoor and outdoor use. The rustic-style tile is honed and unglazed. It has a smooth surface and a medium sheen, and it comes in an attractive gray color that complements many decors. Pair the tile with your choice of grout color for a coordinated look. 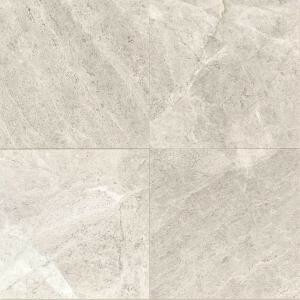 Buy online Daltile Arctic Gray 12 in. x 12 in. Natural Stone Floor and Wall Tile (10 sq. ft. / case) L75712121U, leave review and share Your friends.